What is the aim of GOCC collection this year? Cheerful smiles, lots of music and strong emotions. We have just started the 27th Grand Finale, you can see hundreds of our volunteers on the streets raising money. But do you know what is the aim of this years collection? Helping is child's play! The aim of this year's Grand Finale is raising money to purchase state-of-the-art equipment for specialist children’s hospitals in Poland. The funds will go to the facilities which can make specialist diagnosis and provide medical help for most difficult cases. In Poland we have almost 50 of such facilities, all around the country. In those facilities the highest standard of the equipment is of most importance, as it gives the medical staff the possibility of diagnosis and treatment of most severe cases. Endoscopy equipment with track vision for gastroenterology. Today you can support our cause, traditionally by making a donation in the Collection Box. If you don’t have that possibility, you can support us online. Check how to do it! The team representing our charity will come face to face with players from TVN TV station. The charitable game took place for the second time, and we played to raise money to buy a state-of-the-art ambulance for a neonatal ward of a teaching hospital in Poznań. 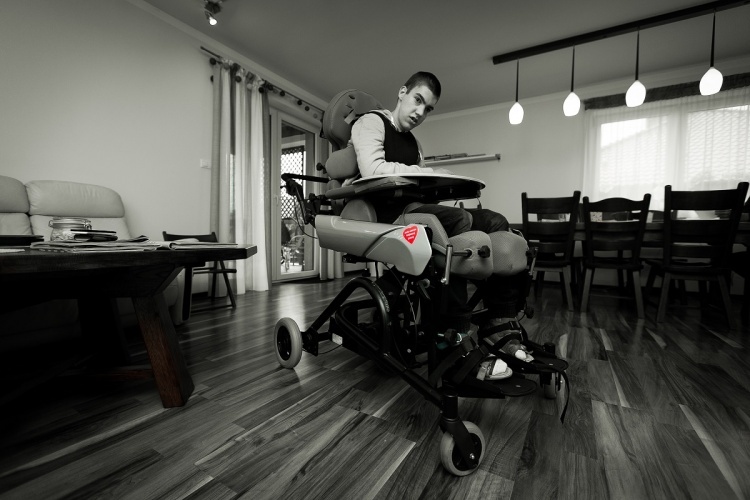 In the light of the recent events, the Great Orchestra of Christmas Charity Foundation made a decision to expand the programme providing rehabilitation equipment for disabled people. The charity will increase the sum and scope of its activity in the area of personal help. Jurek Owsiak became a Knight of the Order of the Smile. The medal is awarded in recognition of his life-long commitment to improving conditions in paediatric medicine and his vocal support of children's rights. The Great Orchestra of Christmas Charity Foundation buys equipment by means of an open tender procedure in order to negotiate the best prices and service period for the medical devices. This time we buy equipment for paediatric units and beds and recliners for parents.